We hold our season auditions together with our friends at Unicorn Theatre. WHAT: The Coterie Theatre and Unicorn Theatre will hold combined auditions for professional adult actors (18 years of age and older) - Equity and non-Equity - for their respective 2019/2020 seasons. OTHER: Actors will be asked to perform two contrasting contemporary monologues (no classical, no Shakespeare); two minutes each; no musical material. Singing auditions will occur only if called back. Actors must bring two head shots and two resumes. - Print and complete both forms if you would like to be considered by both theaters. - Paperclip one head shot and one resume to each form you complete. FYI - Immediately after the audition, some will be selected to repeat their monologues for part two of the open call (for Jeff & Cynthia) with appointment options 12:00-5:55pm, on May 13 or 17. Roles for AEA and NON-AEA actors for the mainstage shows. THE COTERIE - If you can guarantee local housing, but are in no way able to attend this call, send questions regarding video submissions for THE COTERIE to afilippi@coterietheatre.org. UNICORN - If you can guarantee local housing, but are in no way able to attend this call, mail your headshot, resume, and audition form to the Unicorn, ATTN: Cynthia Levin. Video submission are not accepted. To be considered for roles on our mainstage for the 2019-2020 season, students in grades 5-7 and grades 8-12 may take the Audition Lab class in the spring or summer class term. There will be no open call this year. Audition Lab class members will be considered for main stage roles as well as Coterie "Master Class" members. Other onstage opportunities will be for our 2019 SUMMER CAMP PRODUCTIONS. These productions guarantee a student a role with The Coterie Acts, our theatre school. We will not hold a youth/teen open call for the 2018-2019 Season.  See the "On Stage Opportunities for Youth/Teens" section above for information about summer opportunities and application requirements for mainstage production consideration. The Coterie Theatre usually (but not always) holds open call auditions in the spring for young people ages 12 - 17. A one-minute to one and a half minute memorized monologue. No poetry, please. A short movement improvisation. The improvisation will be described on the audition form that you fill out when you arrive. As you wait your turn to audition you should plan a beginning, middle and an end to the improvisation and then rehearse it to match the time limit given. A photo of yourself. School or family photos are fine but they will be kept by the theatre for future reference. A simple resume. If you have a resume, bring it with you. If this is not possible, there are questions on the audition form that will provide the theatre with necessary information. When your audition is finished you may leave. You will be notified by email if you need to come to a "callback" to read for a specific part. It is important to clearly print an email address on the form that will be checked regularly. Please understand that sometimes these callbacks are held months after your initial audition! Do NOT call the theatre to ask about whether or not your are being considered for any role. By its very nature, the selection of a cast is a difficult and sometimes unpleasant process for all concerned. The actors who audition are risking rejection, and usually most of them come away empty-handed. Some win roles and some do not, so it is vital for young actors to develop a healthy perspective towards what this process is all about. No matter how many times one auditions, there will always be disappointment at not being cast. Rejection is rejection; it goes with the territory. An actor, no matter what age, must find a perspective for the audition process. The Coterie is looking for something specific in an actor to fill a given role. Whether or not you are called back or cast for a role depends upon production requirements, and there are very few roles for young actors. As difficult as it is to accept, rejection is seldom the result of an actor's incompetence or lack of inherent talent. Choose something that is close to yourself in terms of age and experience. Never audition with a character you would not be cast to play - if you're 13 years old, don't audition with a 25 year old's monologue. Rather than using monologues from "books of monologues", you might try to find a monologue from a piece of literature that you love. You will know and understand the character and his/her story, and that will benefit your performance tremendously. Be sure the monologue stays within the time limit and that it is a self-contained selection that has or implies a beginning, middle, and end. Prepare your monologue - rehearse it "out loud" many times. You shouldn't memorize it like you memorize material for a test in school. If you are just thinking the words, they will leave your brain when you need them the most. Keep in mind that the theatre is larger than your bedroom - practice with projection! Bring something to do while you wait. This will help to keep you focused and to avoid the "jitters." Be polite to everyone you meet. Your audition begins the moment you arrive at the theatre, and your ability to be a cooperative team player is vital to casting. Everyone who works for the theatre is aware of the attitude and energy needed for a Coterie actor! Dress: don't wear sandals, clogs, crocs, platforms, outrageous clothing, hats, dangling jewelry, or hair that covers your face - you don't want to distract attention away from you. Maximize your assets. Do not apologize about yourself or your monologue. Audition with confidence - think "I've got something very important to share with you." Do not explain the monologue. You need to simply state the name of the play or book that it's from and the author. Avoid delivering your monlogue directly to those sitting at the table, or glancing at them while performing. Create a "fourth wall" for yourself. Break a leg at your audition! A special, personalized way to audition for our mainstage season and be considered for master class! Audition Lab classes at convenient locations around town! This class culminates in an audition for Jeff Church, The Coterie's Producing Artistic Director. Available for students currently in grades 5-7 and grades 8-12.